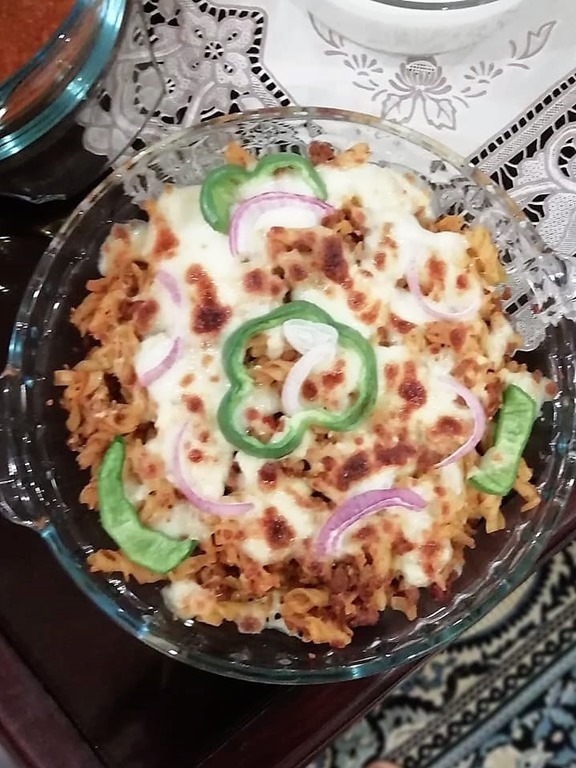 This pizza pasta is made by my sister in law Shasita Shuaib and the recipe is taken from food fusion. 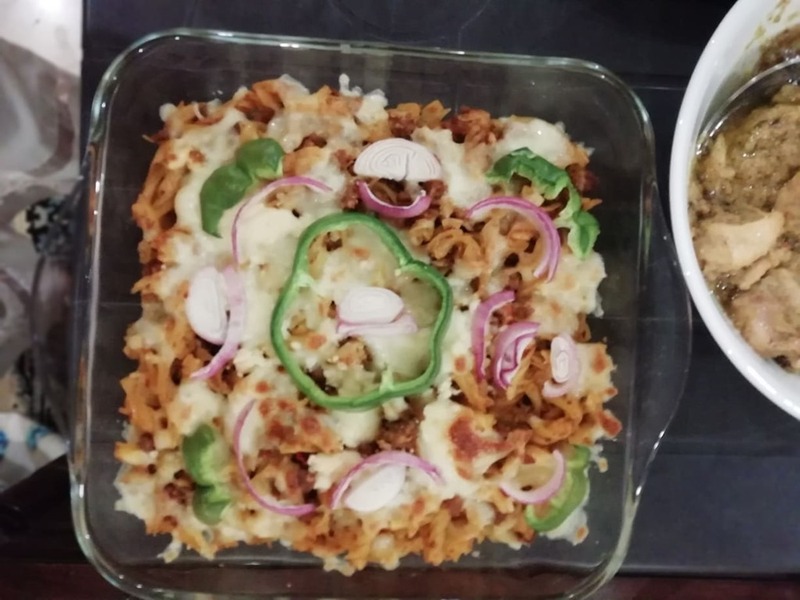 You will love this recipe if you love pizza and pasta. This combination is great for your taste buds. You can also make this with chicken mince instead of beef mince. In frying pan,add oil,garlic,onion and mix well. Add beef mince,mix well until changes color & cook for 6-8 minutes. Add salt,tikka masala and mix well,cover and cook for 3 minutes. Cook on high flame until all water dries up and set aside. In the bowl, add pasta, cooked mince, pizza sauce, mushrooms, black olives, cheddar cheese, mozzarella cheese, dried oregano, red chili crushed & mix well. Grease baking dish with oil, add pasta with pizza stuffing, cheddar cheese, mozzarella cheese, onion slices, tomato slices, black olives, cheddar cheese, mozzarella cheese, mushroom slices, black olives, tomato slices, and onion slices. Bake in a preheated oven at 200 C for until cheese melts (15-20 minutes).